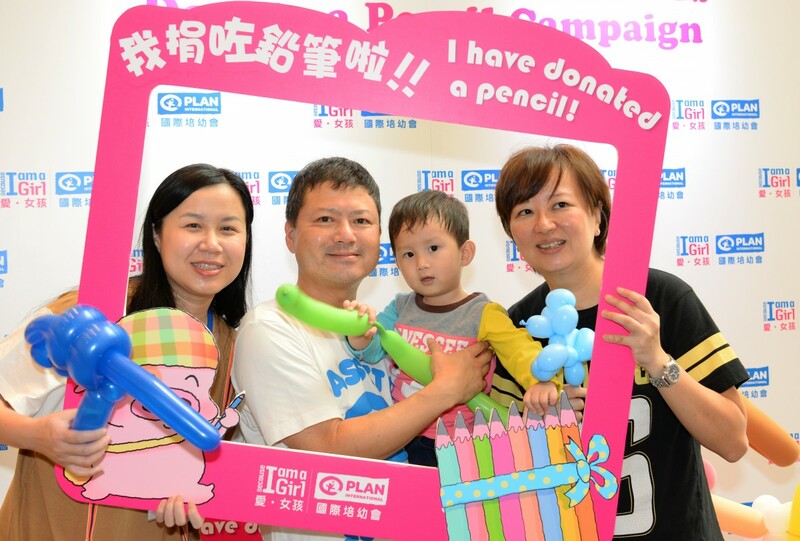 The 4th “Because I am a Girl– Donate a Pencil Campaign” was successfully held from 6 to 10, October 2016 at 4 pencil collection points – Telford Plaza (Kowloon Bay), PopCorn (Tseung Kwan O), Maritime Square (Tsing Yi) and Paradise Mall (Heng Fa Chuen). Thanks to the public’s generous support. 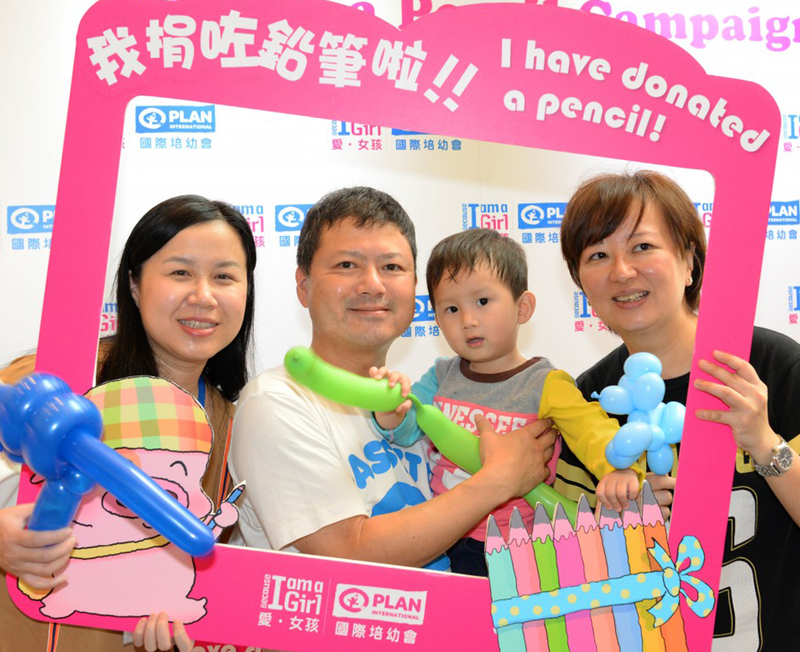 32,913 pencils were collected and over HK$ 400,000 was raised. Pencils will be sent to underprivileged children in Cambodia, and the funds will be used to support Plan International’s anti-child marriage projects in Cambodia. Guests presided over the lighting ceremony by inserting pencils to the lightbox. Dr Ko Wing-man, Secretary for Food and Health, attended the opening ceremony of the event at Telford Plaza I on 6th October. 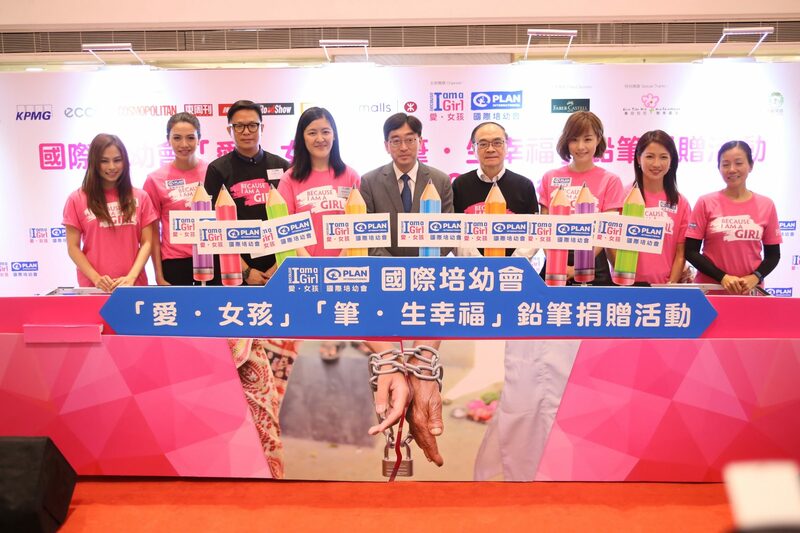 Joined by Dr Darwin Chen, Ms. Christine Ma-Lau and Mr. Ralph Szeto, Board Members of Plan International Hong Kong, as well as Ms. Kanie Siu, Chief Executive Officer of Plan International Hong Kong, “Because I am a Girl” Ambassadors Ms. Jo Ngai, Ms, Stephy Tang, Ms. Gin Lee and Ms Lisa Cheng, Dr Ko Wing-man presided over the lighting ceremony by inserting giant pencils into the light box. The chain in front of the light box was then broken into half, symbolizing the power of education in breaking the shackles of child marriage and the commencement of the event. Thereafter, the guests held up their hands for photos, expressing their support for the “Because I am a Girl” campaign and girls’ rights. Lots of children and their parents supported the event by donating pencils to underprivileged children. Dr. Darwin Chen gave a welcoming speech at the ceremony and appreciated all guests’ support and participation. 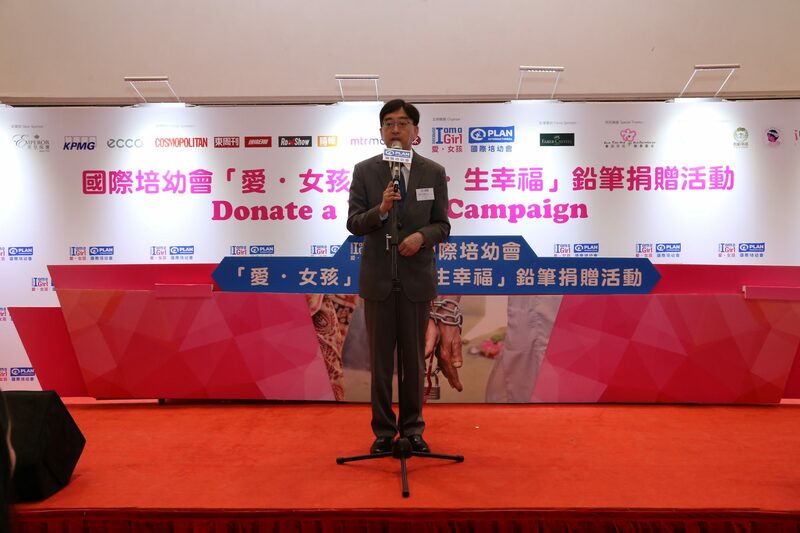 The 4th ”Because I am a Girl – Donate a Pencil Campaign” would not have been successful without the generous support from Gold Sponsor Rotary Club of Hong Kong Sunrise, Silver Sponsors Emperor Jewellery, KPMG Foundation Limited, ECCO Shoes Hong Kong Limited, venue sponsor MTR Corporation Limited, pencil sponsor A W Faber-Castell (HK) Limited and other sponsoring organizations and volunteers. 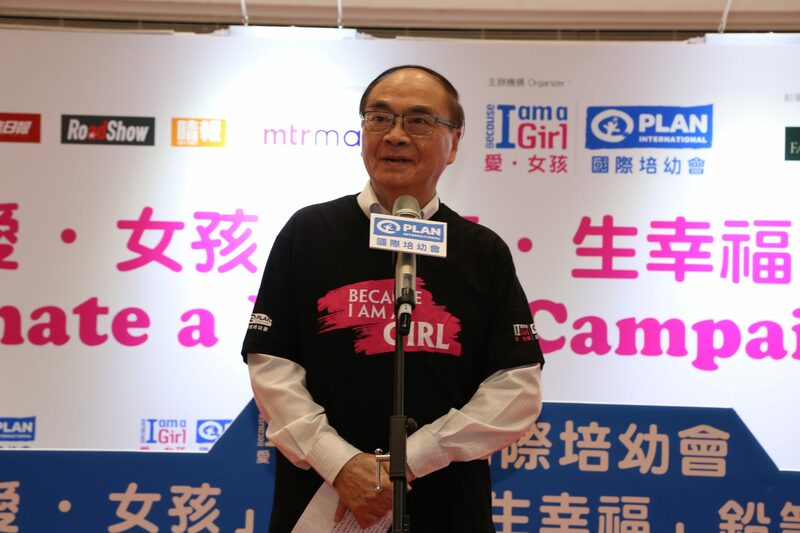 The 4th “Because I am a Girl – Donate a Pencil Campaign” was successfully held thanks to your generous support. We hope to see you again next year!